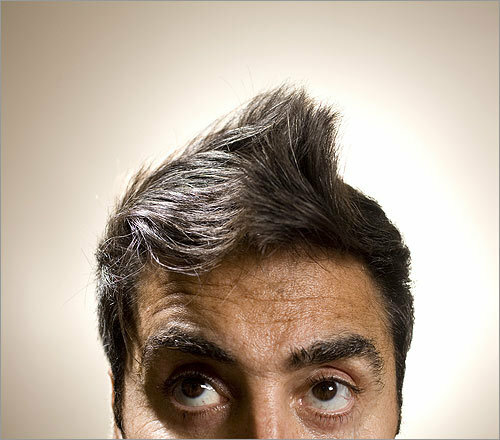 According to popular theory, parting your hair on the left reveals a tendency toward logical, left-brain thinking. Parting it on the right suggests a more artistic, intuitive bent. But the modern man prides himself on drawing from both sides. That might explain the enduring appeal of the fauxhawk. In a decade otherwise undefined by mens tonsorial tendencies  no ubiquitous buzzcuts, unruly lions manes, or Cobain hair -- the one constant seems to be the follicular push toward the center. Don't believe us? Check out the evidence and tell us what you think.